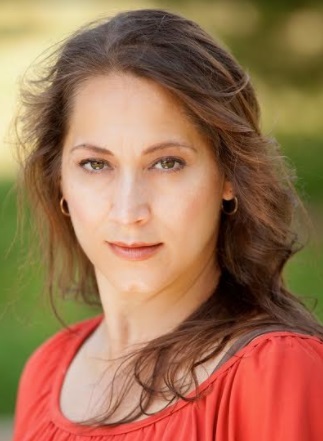 Frances Lozada is an actress/producer/dancer. She started her career as a professional Mambo/Salsa Dancer. She danced in various Mambo groups throughout NYC and performed and opened for the Legendary Wynton Marsalis at a private annual concert at the House of Tribes theater in NYC. She began acting in various theater productions and worked her way into film and TV. She wrote and produced plays, like LA REINA DEL BAILE (DANCING QUEEN) and INSIDERS starry Franky G(Italian Job/Saw 2). She also performed with the Medicine Women Group in Harlem, NY. Frances has also acted, produced and managed feature films such as GANG GIRL, 36 SAINTS, TANGO SHALOM starring Karina Sminoroff (Dancing with the Stars), Lainie Kazan (My Big Fat Greek Wedding) and Renee Taylor (The Nanny). THE GARDEN LEFT BEHIND, a feature film Frances co-produced and played a cop stars Ed Asner (The Mary Tyler Moore Show) and Michael Madsen (Outsiders, Kill Bill). This film, directed by Flavio Alves, was one of the 6 Narrative films selected for the IFP (Independent Filmmaker Project) program. Frances will continue to be in front and behind the camera to help produce unique stories. I am a very determined, motivated and ambitious person. I am not only an actress but I am very good at organizing projects and executing them. I think fast on my feet and I always have a plan b and c in my pocket to cover myself in case things don’t go as planned. Which in the film business or in life they sometimes don’t. I take my work seriously and I want to put my best foot forward. I want to learn as much as I can from people around me doing some great things. I get inspired by others and their ambitions, dreams and work ethics. I want to out do myself each year and achieve something even greater than the previous year. I try to work with many different people to make my world even smaller and increase my possibilities for successful collaborations. I aspire to be successful and great in all that I do. I want to be a great actress, producer, dancer, mother, sister, brother, wife etc. I want to live a full and motivated life filled with accomplishments and great changes that I have made in this world and in people’s lives. My biggest success is staying with my dream and knowing that it is my gift. What I do with it, is my gift to the world. Being a good wife and a mother of two children is also a big success. Being a good role model and helping instill great moral and values in my children’s life will also contribute to my success. Knowing that two additional individuals in this world will make a difference in a positive way because of my teachings will be amazing. Working with great people doing amazing things makes me successful. Being able to make my dream a reality and staying true to who I am will be my ultimate success. One of the most challenging moments in my life was to leave a very good stable corporate job to live my dream as an actress. I went from having a good pension plan and stock from my company to not having nothing at all. I pretty much have no choice but to be successful to make up for that loss. In this business I need a lot of flexibility to work on projects. I work so many different jobs in order to make a living and keep my flexibility as an artist. I believe what is meant for us, will come to us. You just have to have faith and keep doing what you love. A failure is not one that does not succeed, but one that never even tried. My favorite people are the ones that believed in themselves and kept their vision alive even with their naysayers. I admire Walt Disney who kept his vision alive when many people told him it would never flourish. When he bought all that land so cheap in Orlando, Florida and they told him he would be wasting his money because it was all swampland. Disney knew if he built it, the world would come. And they did. I like to travel to Puerto Rico because it is where my roots are from and there is something about the island that feels like home. It is a beautiful and peaceful place with visuals that are healing. Another beautiful place I love is Europe. I would love to take a year and just travel around different European countries via train so I can really see the beauty each country holds. I am not sure what is my favorite product is. I like so many different things. I don’t really have a favorite. I will say my favorite object is my minivan, where I can fit 7 people to travel with. It is better than 5 people in a car. I have many passions. I love to be happy. I love to laugh. I love to spend time with my children and do fun things with them. I like to push myself to things I never thought I could do. Putting myself in those situations I see a side of me, I never thought I had. It makes me feel there is still a lot I will learn about myself. We are all amazing creatures and have so many abilities if we are just willing to take the chance. What do we have to lose? Really nothing.